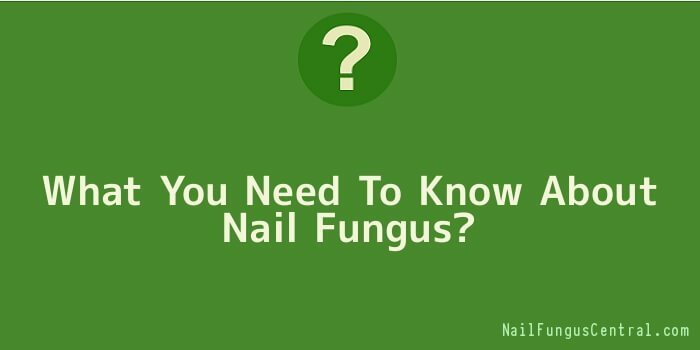 What You Need To Know About Nail Fungus? The major reason it is difficult to deal with nail fungus is that it lives deep under the nail and not on the surface where treatment would have been much easier. This makes it nigh impossible to attack the fungus directly. It attaches itself and grows off the nail and lives under the nail making it discoloured, uneven or even painful. This means that whatever treatment you use must be able to penetrate the nail in order to stop the nail fungus. Many topical brush-on solutions can’t. To get to the bottom of your problem with nail fungus requires that you give yourself a proper lifestyle change during and after your treatment and that could actually make a difference. This article may want to deal with some things you can do on the side to deal with your fungus problem as you use your preferred treatment method. When your body is at a top condition it is always easier for it to combat any challenges it may be facing and that is why we believe that proper nutrition is very important here. You need to maintain a proper diet even before you begin any anti-fungal treatment. You may even want to supplement what you think may be missing in your diet but most important would be a proper mix of fruits and vegetables and forfeiture of the sugar laden foods such as soda and the like. Key vitamins include Vitamin C, Pantothenic acid (a.k.a. B5) along with Vitamin E.
Even as you use the medication that you will have gotten, exercise and sun exposure of the affected part will have a very positive impact and cause your feet to improve tremendously. You will need to clean your feet thoroughly and dry them at least two times every day before applying any anti-fungal solutions you may be using. Use soap and water and consider a small soft bristled scrub brush to get under nails. The last is very significant and that is to thoroughly dry your hands and feet as water trapped under nails is a breeding ground for fungus. There are hundreds of anti-fungal products in the market that will promise you heaven on earth but very few of them are known to deliver any positive results. In fact if you read the labels in many of them they will state clearly that they are not meant for nail fungus on the toe or finger because they don’t work at all. So, do not just pick any product just for the sake of it. There are remedies that work in getting rid of nail fungus, but it can take as long as a year for complete results to be obtained. By reading all the recommendations and suggestions from others suffering from fungus infection of the nails on this site you should find something that works for you. In some cases, it could be using two or more anti-fungal remedies in tandem.